When I drive through Camden...I am...overwhelmed of course by the horror: empty fields where there were once factories and houses, empty streets where there were once people, nonexistent stores, boarded-up schools, broken glass. It would be, probably, false apocalyptic writing and fake redemption to make something positive out of that. I may have, earlier, been more than a little addicted to the heavenly nature of ruins. I am more inclined now to see them for what they are: the consequences of human greed, indifference, and stupidity. 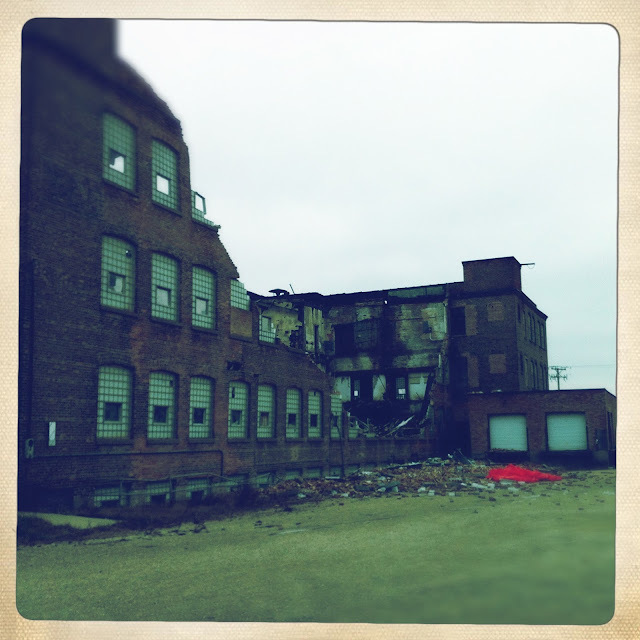 More photos of the Pleasant Street factory here.